The Melody Maker™ makes it easier to play Standards and many other songs that can be difficult to play on a Major Diatonic, while producing a very expressive sound. 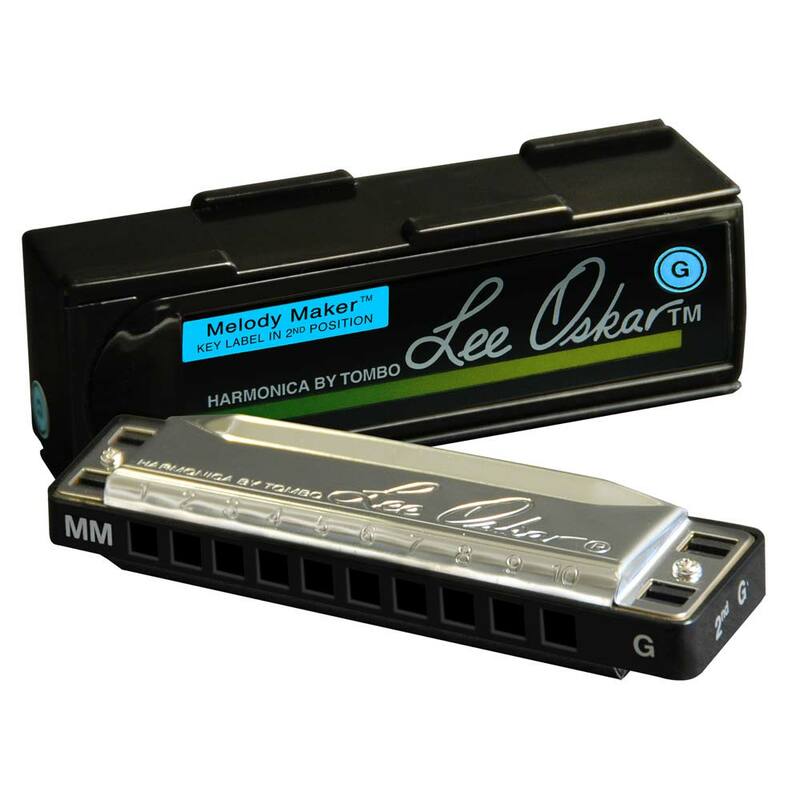 The Melody Maker™ is the best harp available for playing single-note melodies. Because we changed the reeds in draw/inhale and blow/exhale, you can also play beautiful chords on this harp. With its three altered notes, the Melody Maker™ is intended for playing Major scale melodies in 2nd Position (Cross Harp). In 1st Position (Straight Harp), you can play: Irish, Clave/Afro music. In 2nd Position (Cross Harp), you can play: R&B, Country, Reggae, Pop, Jazz, Latin. (The Melody Maker™ is NOT recommended for Blues). However, when played in 2nd Position, the Key of the Harp is not the same as the key of the music. Helpful key selection charts are packed inside every Lee Oskar Harmonica. Melody Makers™ are key-labeled in 2nd Position. This makes it easy to know which key of Melody Maker™ to use. To play music in the key of G, in 2nd Position, use a G Melody Maker™. It’s that simple! G for G. The chart below shows the notes that have been altered from a Major Diatonic, allowing you to play melodies easily in 2nd Position. Melody Makers™ provide a complete Major Scale as shown. 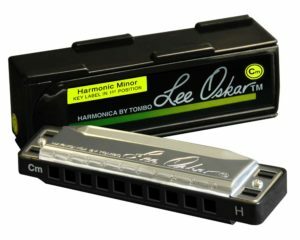 The Harmonic Minor, with its five altered notes, is ideal for playing World Music. Typically played in 1st Position (Straight Harp).